MassHealth is just weeks away from accepting applications from provider and insurance organizations to form Accountable Care Organizations (ACOs). But what does that mean in terms of tangible impact to Beacon Health Options and companies like it, the Commonwealth, and most importantly, the member? Should we feel excited? Skeptical? Indifferent? For a little background, the Triple Aim approach serves as the founding concept for ACOs: 1) improve the experience of care; 2) improve the health of populations; and 3) reduce per-capita costs of health care. Good intentions, but what is the tangible impact on members? Individuals need the right care, at the right time. The goal is also to keep them in the least restrictive level of care possible, with a special focus on understanding differences across populations. One example is keeping individuals with serious mental illness (SMI) in a community-based outpatient environment, thereby avoiding unnecessary or relapsing inpatient stays. To do so means ensuring access, providing evidence-based care, seamless lines of communication across primary and behavioral health (BH) providers, and an increased focus on social determinants of health. To do so means ensuring access, providing evidence-based care, seamless lines of communication across primary and behavioral health (BH) providers, and an increased focus on social determinants of health. For the provider, accountability means more than delivering care dictated by the bounds of expertise. Accountability is seeing the whole person, by treating the physical and psycho-social elements of his/her needs, and understanding just how broad the term “health care” truly needs to be. Volunteering to be accountable is a risk. And risk is exactly what our industry is starting to base its business on. The word “risk” implies a feeling of fear. Fear of failure, the unknown – that the results might not be exactly as we expected. But without risk, there can be no reward. One of Beacon’s major lines of business is taking on the BH risk that insurers would prefer to delegate to an entity with true BH expertise. For the SMI population in particular, I believe the next rational step in financial health management is taking a total cost-of-care approach as it coincides with the goals of population health management as well as accountability across diverse providers. Also, MassHealth is working on defining the role of the Community Partner, or, community-based behavioral health centers that will partner with ACOs and take the lead in managing the outcomes for the most challenging and resource-intensive members with SMI/SUD conditions. Risk takes shape in another form: payment reform. One example in the Commonwealth is the new “APEC,” an episode-based outpatient reimbursement methodology for physical health services, aimed at steering reimbursement to evidenced-based care driven by resource intensity. 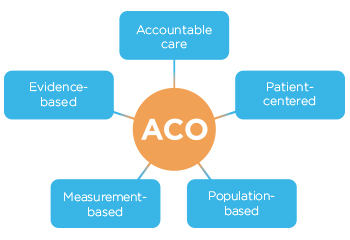 Complementary to that are the outcome measures for which all participating ACO entities will be evaluated. In line with the shift towards embracing the importance of both physical and BH outcomes, nearly a third of the measures are focused on measuring behavioral health. ACOs will feel a financial impact through shared savings and losses, dictated in part by the measurement of those outcomes. Beacon is ready to not only aid providers in identifying where improvements can be made, but more importantly, how. Volunteering to be accountable is a risk. The Triple Aim’s three goals are reasonable ones connected by the logical assumption that a healthier person costs less. Sure it does. Long-term. But let’s be slow to judge an ACO’s success by spend until well beyond the “experimental” time period comes to a close. The MassHealth ACO initiative is structured to last five years. But change takes time and definitely money. Let’s make sure that when we speak of success, we measure it by improved lives, not just the dollars saved.